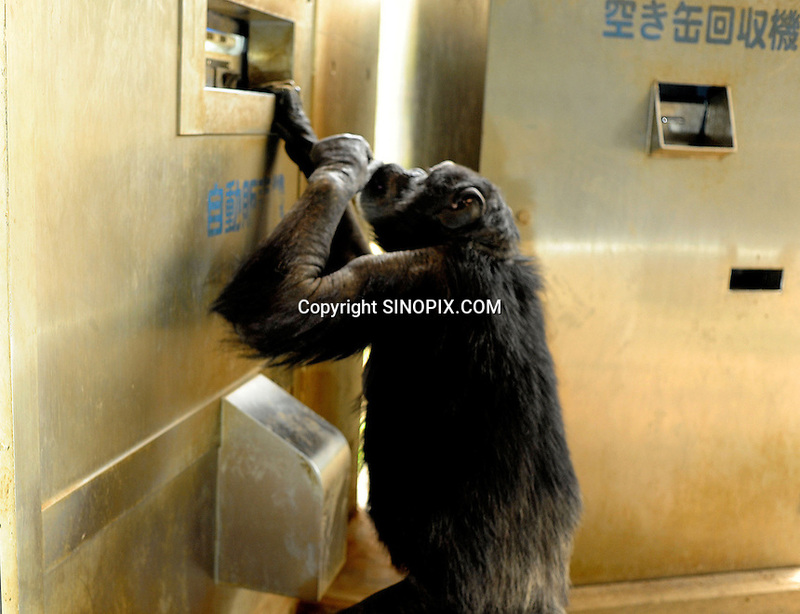 A chimpanzee inserts a ten yen coin into a drink vending machine. Chimpanzees in Tama Zoo in the western suberbs of Tokyo buy soft drinks from a vening machine. The zoo, which is seen as one of Japan's most inovative, has installed a vending machine. The Chimps are given a ten yen yen coind which they insert into a vending machine and are given a can of fruit or vegetable juice. The chimps then put the embty can into the waste machine for recycling.